Mellor Coachcraft is advocating the use of electric and low floor mini-buses in Europe. 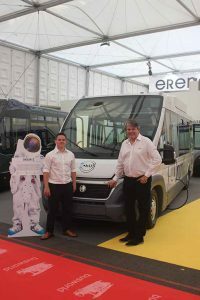 Putting the findings to good use, Mellor is ensuring that the electric low-floor Euro6 compliant mini-buses it is offering in Europe make a profitable business case. 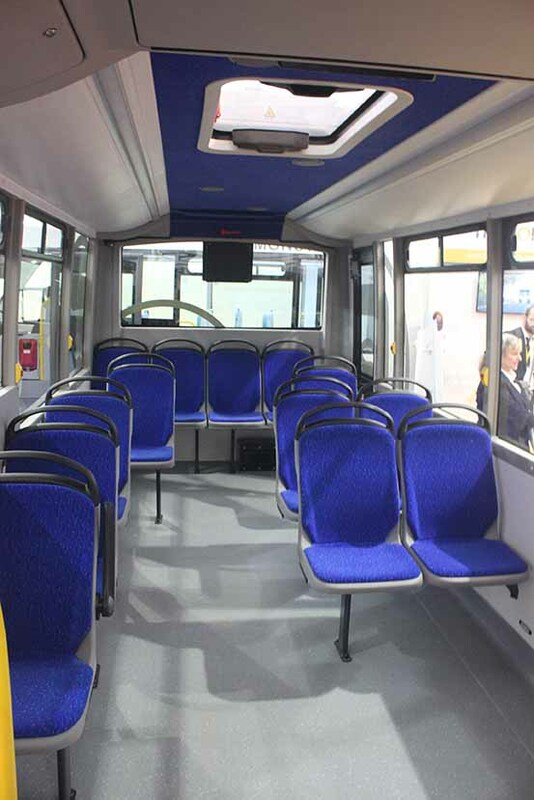 Keen to be a leading small bus manufacturer, the company did a lot of groundwork. 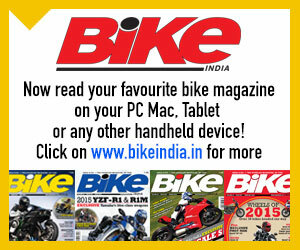 Expressed Reeves, “It took three years to plan the products. The process involved an in-depth need gap analysis in the Public Service Vehicle (PSV) segment.” “The key to our success has been two-fold,” added Reeves. First is the vision to develop products for the PSV segment, and the second is the ability of the company to pursue business ambitions. Backed by an ambitious business plan, the Orion E, with its chassis featuring an electric drive and gearbox that was procured from EMOSS, is a low-floor monocoque design. Claimed to be a good substitute for the Orion mini-bus which is powered by a Fiat-derived diesel engine, the Orion E, according to Reeves, has its battery packs distributed across several locations to achieve optimal weight distribution. 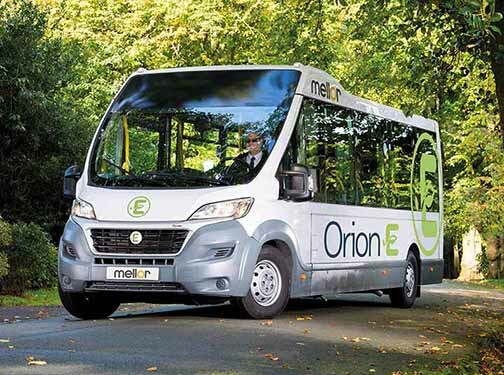 Designed and built entirely by Mellor, the Orion E is offered in different configurations. 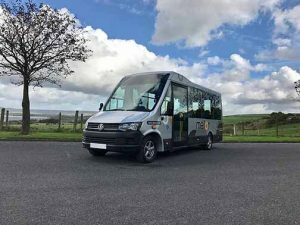 Available in a four-seater, three-wheelchair guise as well as in a form that can seat 16 people, the Orion E comes with a single step entry. With space for up to four wheelchairs through double rear doors and a folding ramp, or fold out ramp at the front entrance, the emini-bus facilitates passenger access through a rapid sliding side entry door and double doors at the rear. With a five-tonne GVW and a wheelbase of 4890 mm, the Orion E has the power going to the front wheels. 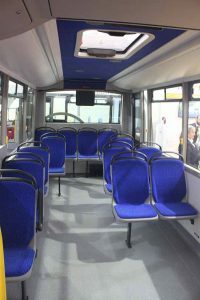 Measuring 7479 mm in length, 2200 mm in width and 2645 mm in height, the emini-bus, according to Reeves, offers a spacious passenger compartment because of its front-wheel-drive mechanism. 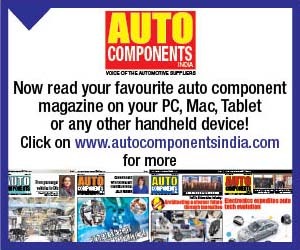 An independent trailing arm suspension also helps in offering a spacious passenger compartment – a large floor space in particular. Suitable for diverse customer applications, the Orion E is made versatile by its ability to address the needs of customers like destination displays, access ramps and heating options. 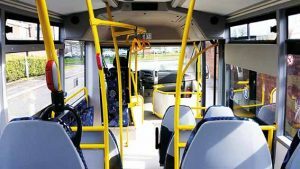 The Orion E, averred Reeves, has been developed and built keeping in mind the needs of local authorities, stage carriage operators, community transport groups and Dial-A-Ride organisations. Much like any other electric vehicle, the dash-mounted screen on the Orion E provides the driver with vital information. 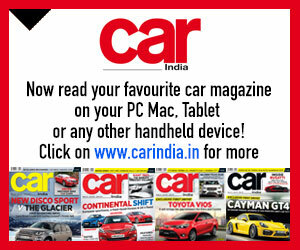 It displays metrics like speed, charge, auto recharge, etc. 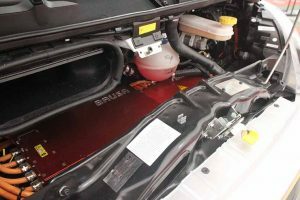 Running on 400-volt DC, the emini-bus is equipped with LiFe PO4 batteries that have a 72 kWh charge capacity at 180 Ah. Claimed to do 100 miles on a single charge with a peak motor power of 158 kWh, and a top speed of 90 kmph, the Orion E consists of an electric motor and a reduction gear. Taking 3.5 hours for a single charge, the low-floor electric bus has a single-speed transmission with a ratio of 1:10.2. Orion E (in left-hand drive) is aimed at mainland Europe and other left-hand drive markets. Aimed at the growing stage carriage market, the Strata LF is based on the Mercedes-Benz Sprinter 516 van. 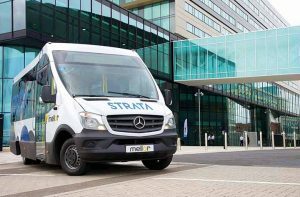 Steering clear of the van conversion market, the Strata LF is engineered with the approval of Mercedes-Benz according to Reeves. 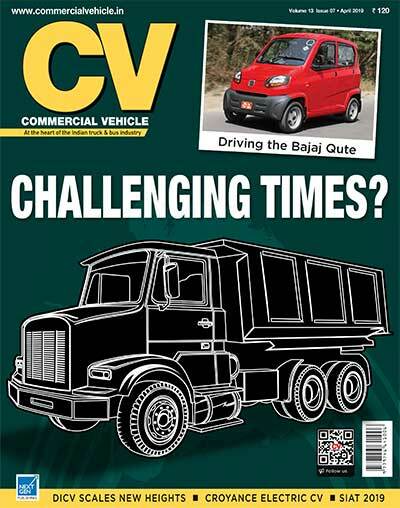 A low floor construction, the vehicle has proved to be popular with operators in the UK. Expecting a similar experience in the rest of Europe, Mellor is offering the Strata with a 2×2 seating configuration. Claimed to have been completely re-engineered to provide a large low floor section with space to accommodate two-wheelchairs, the Strata LF saw Mellor invest in the latest 3D CAD software to create a strong stainless steel frame. Apart from CAD, CNC machines were deployed to create GRP mouldings and interior plastics. Emphasis was laid on addressing the demanding nature of stage carriage operations without sacrificing a light and airy feel. The Strata LF based on the Mercedes-Benz Sprinter 516 van. Complying with the European vehicle type approval standard, the Strata has undergone rigorous accelerated durability testing at Millbrook. It underwent simulation tests that are equivalent to eight years of use in a stage carriage environment. 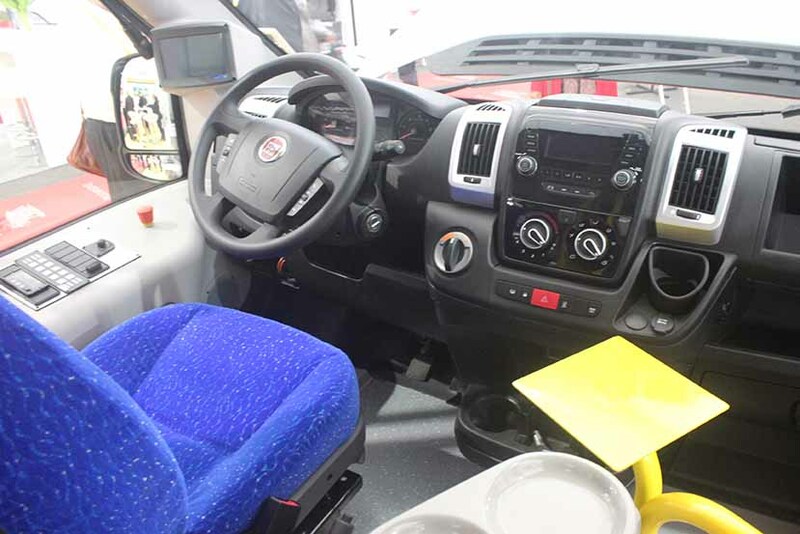 Capable of seating 22 passengers, the vehicle could be had in multiple seats and hand-rail configurations. Equipped with destination displays, a rapid sliding entrance door, a ticket machine platform, the Strata is DDA compliant. Flaunting a 5000 mm wheelbase, the vehicle weighs 5.5-tonne. Measuring 7760 mm in length, 2300 mm in width and 2760 mm in height, the Strata is powered by a four-cylinder 2143 cc Euro6 Mercedes-Benz BlueTec diesel engine that produces 163 hp and 360 Nm of peak torque. The engine routes power through a seven-speed transmission. Based on the Volkswagen T6, the Tucana II seats 16 people. Built from CAD designed mouldings to ensure a distinctive styling and good fit and finish standards, the Tucana II can accommodate up to four wheelchairs. A truly flat floor construction, the vehicle employs composites instead of plywood. Incorporating a space-saving tip and fold seat, large windows and a glass roof hatch to present a roomy and airy feel, the HVAC system of the Tucana II is via a 12 kW roof-mounted unit. 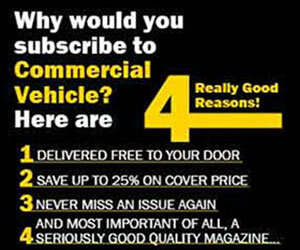 Propulsion power for the van comes from a 147 hp two-litre turbo-diesel engine mated with a seven-speed DSG automatic transmission or a six-speed manual transmission. Weighing 4.1-tonne, the vehicle has a wheelbase of 4300 mm and measures 7012 mm in length, 2080 mm in width and 2565 mm in height. The Tucana II based on Volkswagen T6.